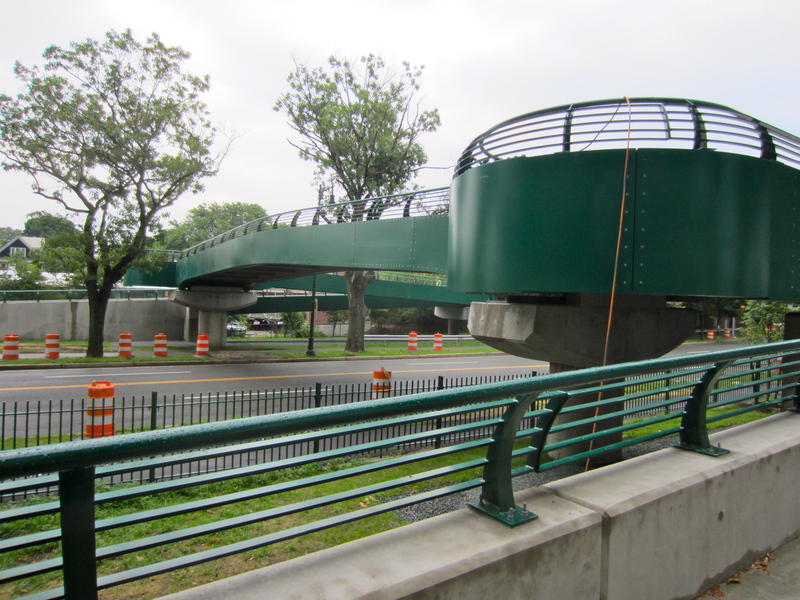 Twenty-seven months and $3.6 million dollars later, the new pedestrian footbridge connecting Cambridgeport safely to Magazine Beach is officially completed and open for use. The temporary traffic light at Magazine St. and Memorial Dr. is gone, as is one of the construction trailers. 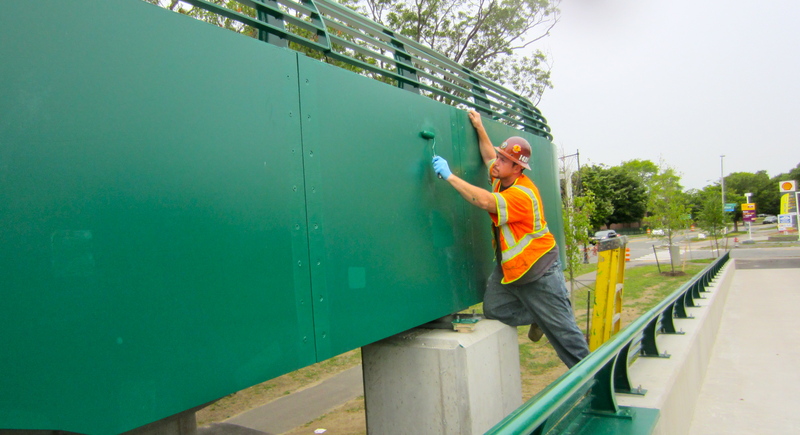 The other trailer will be gone within a few weeks—after finals repairs to the east upper truss on the BU Bridge.